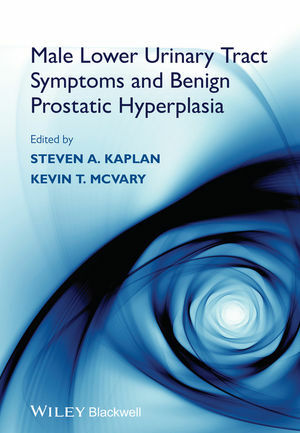 Male Lower Urinary Tract Symptoms and Benign Prostatic Hyperplasia provides urologists of all levels with a practical, highly clinical guide to the variety of different symptoms and problems concerning the male lower urinary tract, including benign prostatic hyperplasia, one of the conditions that urologists most regularly encounter. Evidence-based throughout and written by the world's leading experts in the topic, it comprehensively reviews the very latest in diagnostics and imaging, patient phenotyping, genetic studies, medical and surgical therapies, and lifestyle management in order to help clinicians best manage their patients. Containing pitfall boxes and key points throughout to aid quick and easy understanding of the key information, this excellent book is an essential read for the modern-day urologist. Dr. Kaplan has had over 725 articles and 170 abstracts published and has made over 300 presentations in more than 35 countries. He is the author of two books and is on the Editorial Board of Urology, Journal of Urology, Wiley's BJUI and Urology Times. A member of more than 30 professional organizations, he is also a member of the WHO Committee on treating BPH, has been awarded 5 NIH grants and has received over 13 million dollars in research funding. He was awarded the John K. Lattimer Award for Lifetime Achievement in Urology by the National Kidney Foundation. Dr. McVary is Chairman of both the AUA BPH Clinical Guidelines Committee and the Special Emphasis Urology Study Section for the NIDDK. He is Co-Chairman of the Clinical Section of the NIDDK Strategic Pathway for Prostate Basic and Clinical Science, and the AUA Honorary Speaker at the European Association of Urology (EAU). Dr. McVary has been principal investigator for more than 75 clinical trials and his research has generated more than 120 publications including journal articles, book chapters, and abstracts. His work has appeared in prominent journals such as the Journal of Urology, Journal of the American Medical Association (JAMA), New England Journal of Medicine, International Journal of Impotence Research, and Urology. He is an editorial consultant for the Journal of Andrology, Journal of Urology, Urology, Journal of Investigative Urology, Current Opinion in Urology, and Prostate Diseases.